To say that Sorel "Imper1um, Zangbezan24" Mizzi is on a hot streak would be a tragic understatement. He is absolutely setting the world on fire now, globetrotting and incinerating every poker table that he sits down at, virtual or real. His accomplishments over the past 3-4 months are mind-blowing. First he absolutely crushes in some heads-up matches at the EPT Monte Carlo, and wins a couple hundred grand. Then he takes down the Pokerstars "Battleship" tournament at the EPT Monte Carlo. Then he chops the Irish Poker Open, receiving better than 2nd place money. Then, he finishes high at the WPT Championship, taking home north of $140k. Then, as if that isn't enough, let's recap his last couple of days on the virtual tables, as he was "vacationing" in Paris. First, he captures the Pot Limit Hold'em event at the FTOPS for just north of $40,000. Then, as if that isn't enough, he takes down the "Sunday Warm-up" on Pokerstars for a mind-boggling $110k (Pokerstars added a bunch of money to the prize pool as part of their 10 billion hand promotion.) In the same day, he wins a seat to the 2007 World Series of Poker, and comes one bad beat away from doing some serious damage in the FTOPS main event. 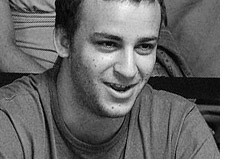 As Mizzi sets his sights on the World Series of Poker that starts shortly, the question isn't whether or not Mizzi will win a bracelet this year; it's just how many bracelets he wins.